When it comes to something as important as our oceans of our world, you would expect an infographic to provide solid design and useful information and statistics to support saving the oceans and that is just what this environmental infographic delivers. Mention the ocean and I think you expect a few design elements to be present: fish, waves and the color blue. 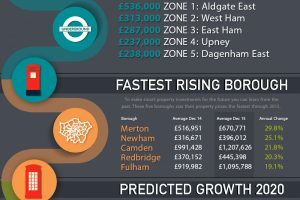 This infographic hits the mark on all three and in a way that isn’t overbearing or trite. The red and blue color styling work well and the use of graphic waves is subtle but sitll a powerful image used to break up information effectively. Fonts are used sparingly and expect for some color hues that are too close visually the infographic is easy to read and not stuffed with too much information or overused graphics. The graphics are probably clip art but clip art that is of similar design and feel. 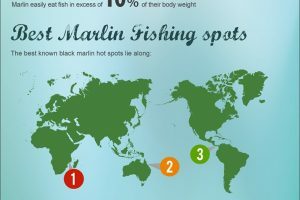 Silhouetting the fish and sea-life keeps everything neutral and makes the design of this infographic really float! Topics covered in this ocean infographic range from threats to our oceans, to declining fish populations to the destruction of the coral reef. A wide variety of subjects with interesting facts about man’s interference with ocean health give a good glimpse into the precious balance in our oceans. As with any good infographic, this tip-of-the-iceburg-type information makes you want to know more. How can we remedy the decline of the tuna population? What can be done to prevent further destruction of the coral reefs? These are questions this environmentally friendly infographic poses. A good design and a good message make this infographic what great catch you should keep! via Resuethisbag.com providing reusable shopping bags to help the environment.